You know chickens can be sensitive creature when they get a fright. 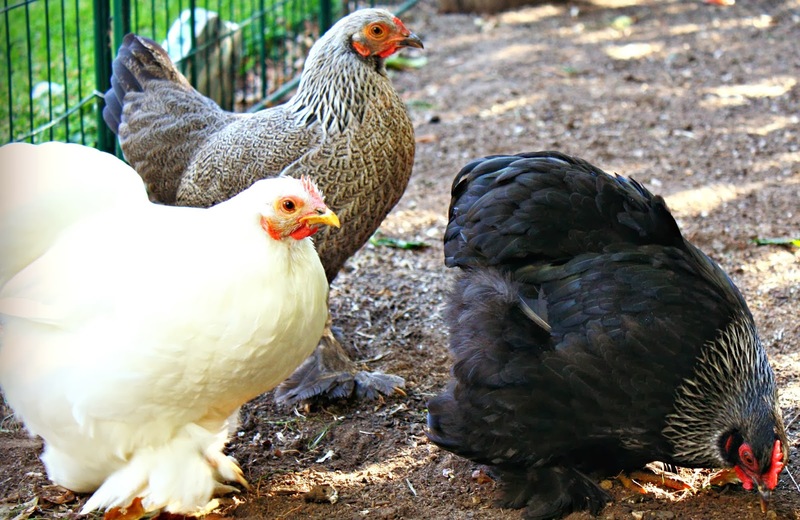 And these little bantams even more so. So imagine how bad I felt when the humans here caused our little hens to have a bit of fright last weekend. I was doing my twice a year rebuild up of soil and sand in the coop and run so I asked hubby to bring in the 50 lb. bags of sand back to run. I forgot to mention to him not to just throw the incredibly heavy bags down anywhere near the chickens as it would scare the dickens out of them. Before I could get the words out, he had headed in and dropped a bag and left the run gate open and off they went. 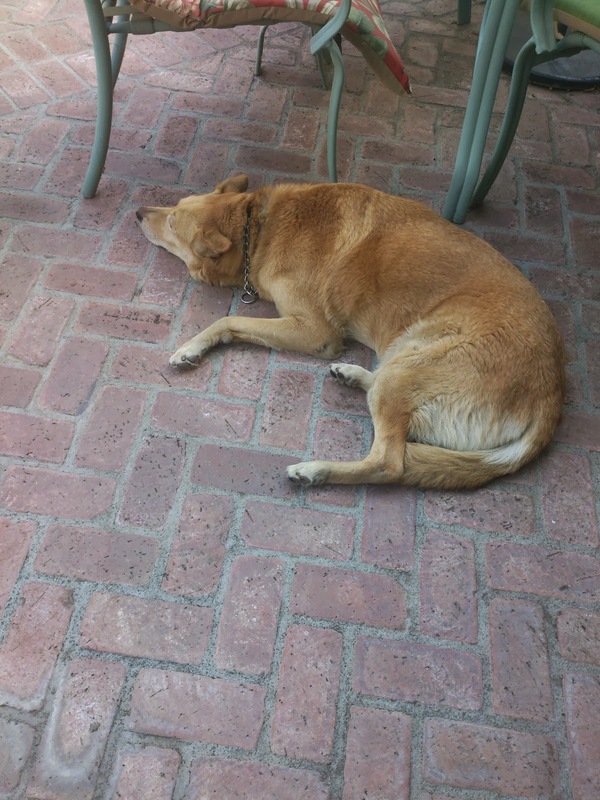 Now we could have just shooed them back in but our big dog was laying nearby and I worried the flapping the chickens were doing would entice her to want to get in the mix but blissfully away she slept, never batting an eye. Good girl. 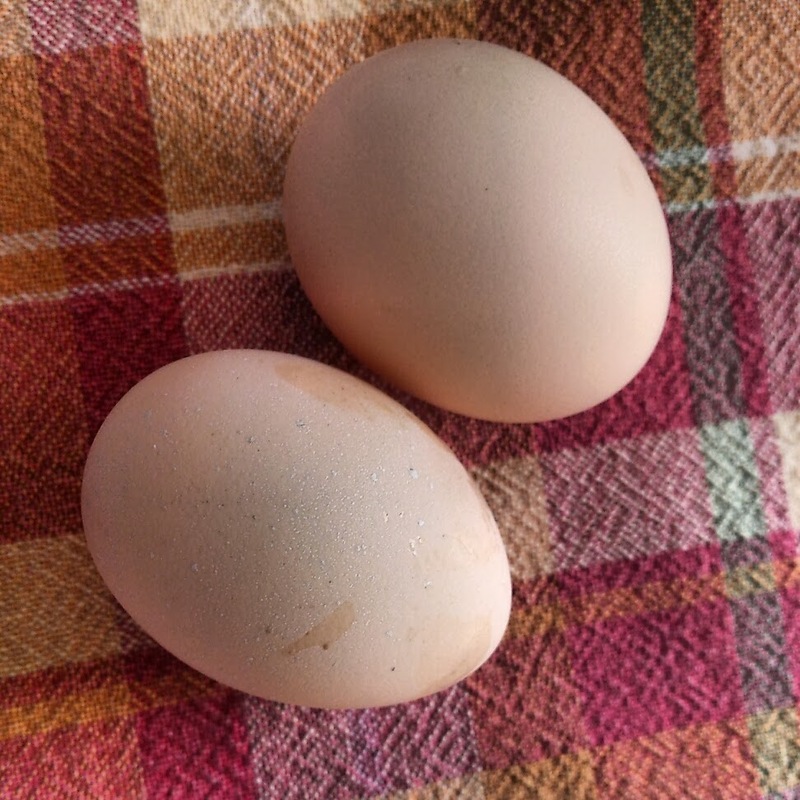 We got them back in the run and then into the coop for the rest of the work in the run but I was worried about them as a shock can stress them and tamper with laying and we had just started getting their first eggs. So I headed to my lavender and snipped a great big bunch and spread it through the run and cut it up for the nesting boxes to help calm the chickens. 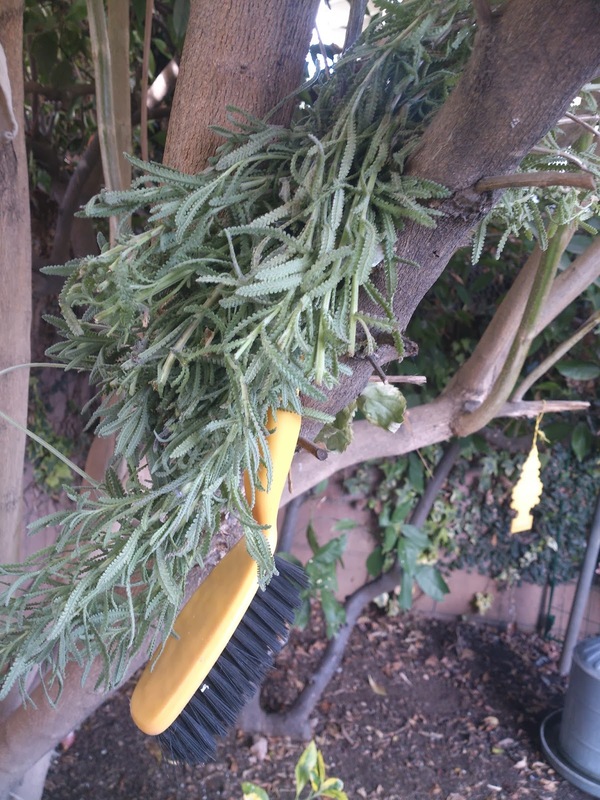 I stuck a huge clump in the tree over the coop to dry and continue adding this week. Seems to have worked cause the next day I collected my first batch of two eggs. You can see where I used lavender way back with my very first chickens here. It is said to help deter flies too so I throw huge bunches in the run all through the summer. The girls are looking so healthy and robust. How fun that you are getting eggs now. Are you going to get more, or is three just about right for you? 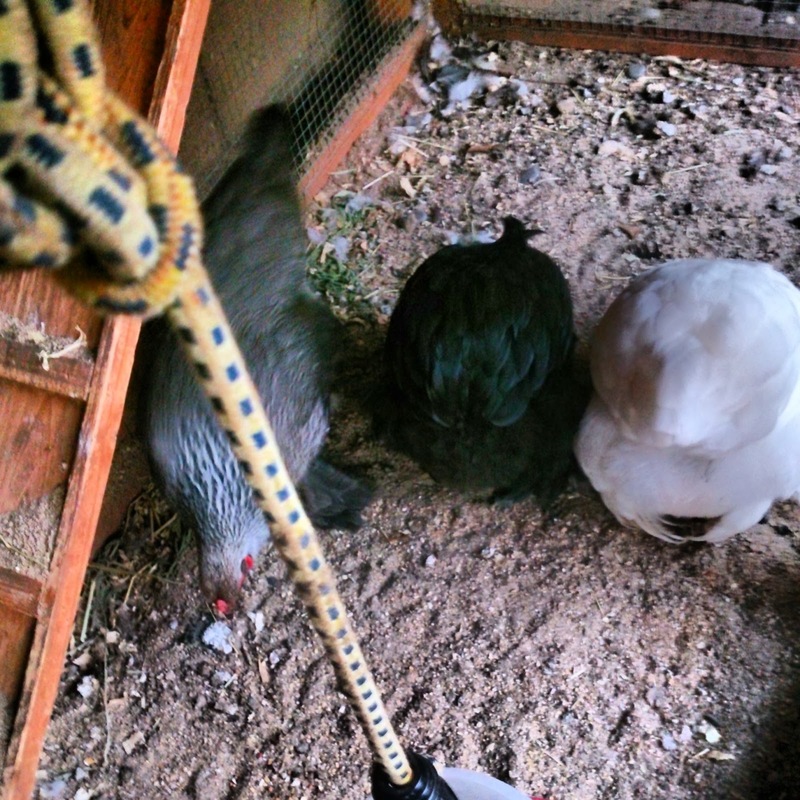 I sometimes add some herbs to the clean coop too. I need to plant some lavender though. I love the scent! Too bad it isn't going to work out for us to get together on Thursday. Hope we can do it soon. 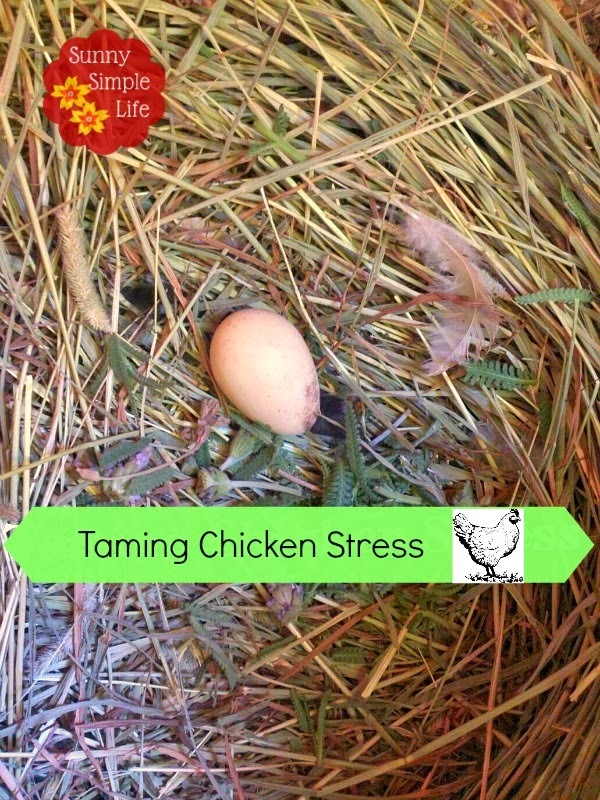 Poor chickens, but they are lucky you know the right way to calm them down! Hi Elaine! How awesome regarding the Lavender. Would you mind if shared this post tomorrow on our DTL Herb Facebook page?